Once the egg hunt is over, create the ideal table spread to celebrate Easter using these key items. Second to Thanksgiving, Easter is one of our favorite food holidays. Bright green, crisp spring produce is finally popping its head up and there are no rigid guidelines for your meal – choose between brunch, lunch or dinner (or, hey, all three!). The possibilities are endless. Whether you’re whipping up an epic quiche or an impressive glazed ham, you’ll need the right tools and tableware to pull it off. Check out our picks below for the perfect easy-to-clean roasting pan, an all-purpose baking dish and even gorgeous dinnerware to complete your table setting. 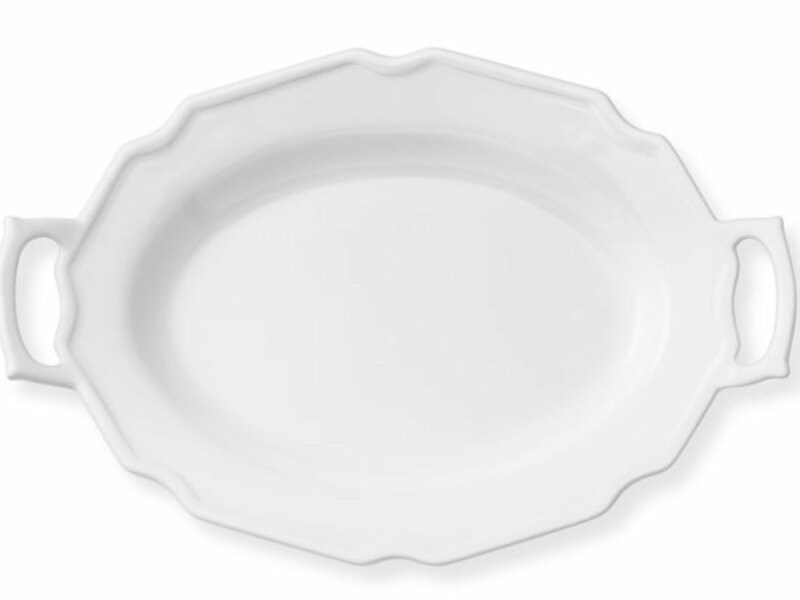 A timeless platter like this one from Williams-Sonoma can be used again and again. Choose between the larger size (perfect for your centerpiece roast) or the smaller size, which is a great canvas for these Deviled Eggs with Pickled Shrimp. The handles make it easy to carry to the table or pass amongst your guests. No Easter feast is complete without a basket of warm buttery rolls, flaky pastries or these Pimento Cheese Muffins. 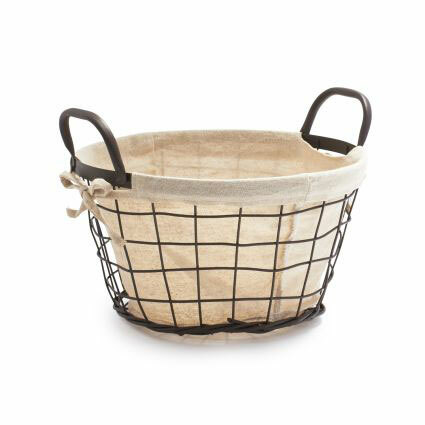 Keep everything warm in this farmhouse-style basket lined with flax linen. The basket will look charming on your dining table or filled with fruit on your kitchen counter. 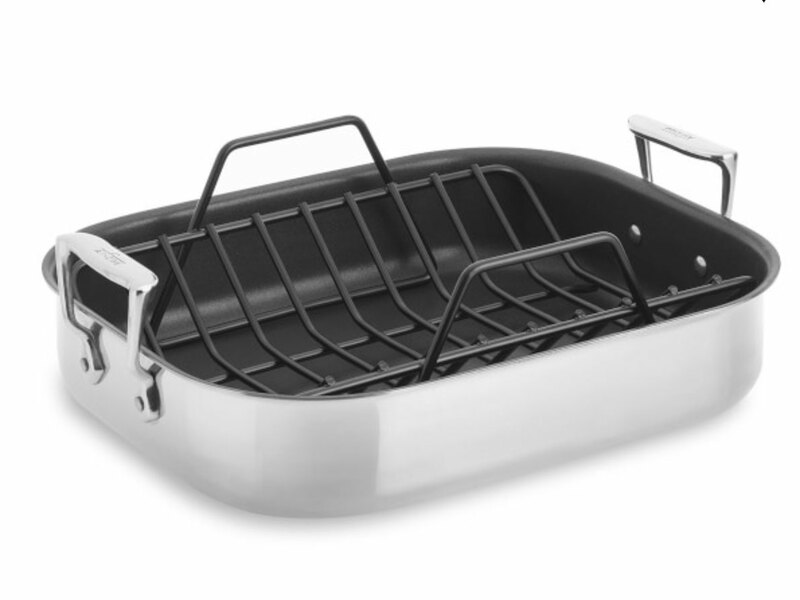 If a large roast is on your Easter menu this year, then you’ll want a good roasting pan. This one from All-Clad is big enough to tackle most of your roasting jobs, but at 16-by-13-inches, it won’t take up too much space in your kitchen. Also, the non-stick interior makes it easy to clean. Try it out with this glazed ham with Dijon mustard and Saba, a tart balsamic-like syrup. 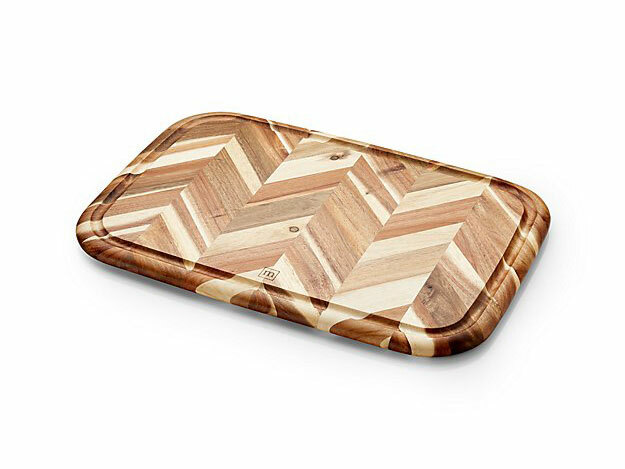 This carving board is not only lightweight and reasonably priced, but the chic herringbone pattern also makes it worthy of a spot on the table. Use as a cheese or meat board, or to carve this rosemary-scented leg of lamb - the shallow groove around the board will trap any juices. A unique carving set adds a sense of occasion when it comes time to slice the roast. 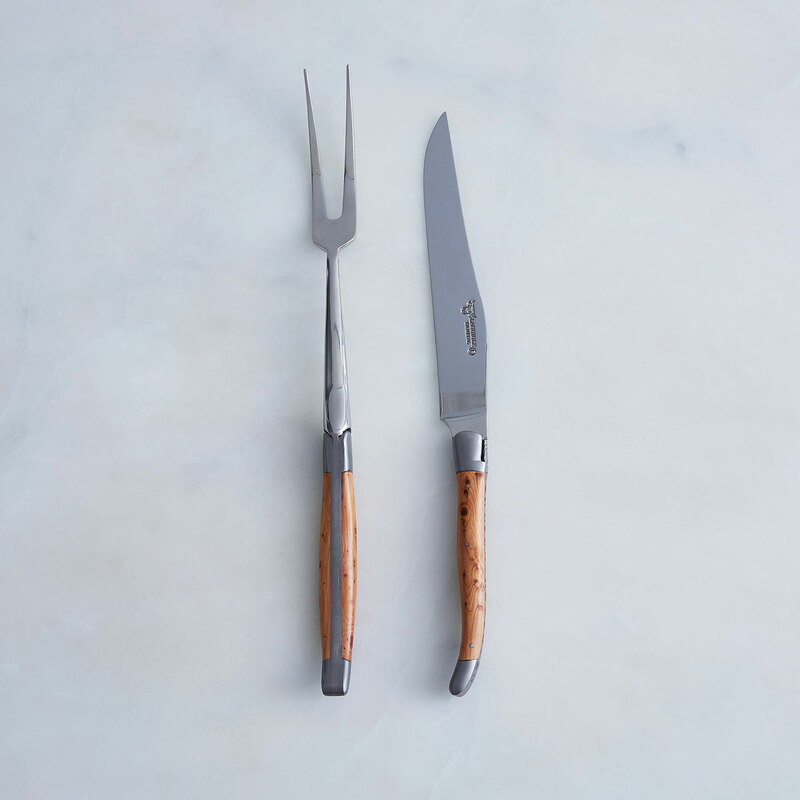 This breathtaking knife (with matching fork) from the French knifemakers at Laguiole has a juniper wood handle and a super-sharp steel blade that slices your meat instead of shredding it. You might be tempted to lock this set away between holidays, but it’s so beautiful we think it’s worth breaking out for your weeknight roast chicken. 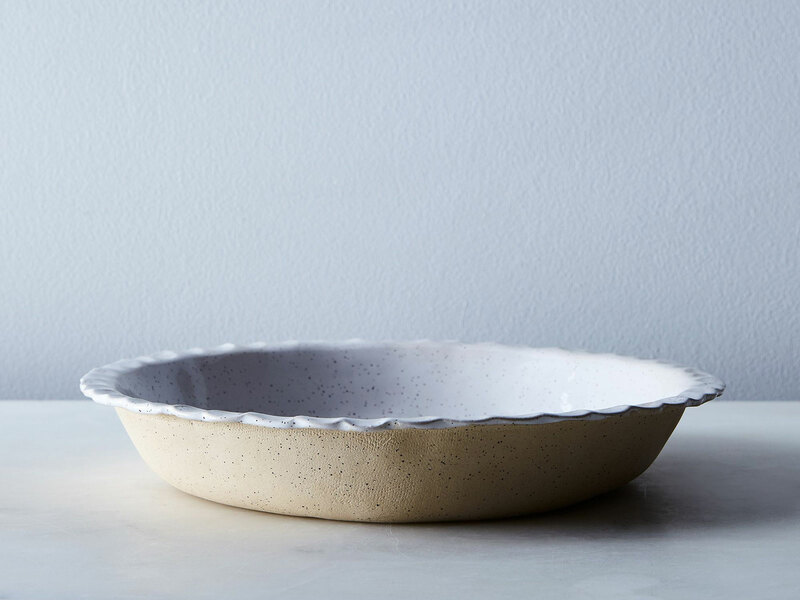 Whether you’re making quiche, pie or clafoutis, this earthy-yet-modern pie dish is the perfect vessel for the job. 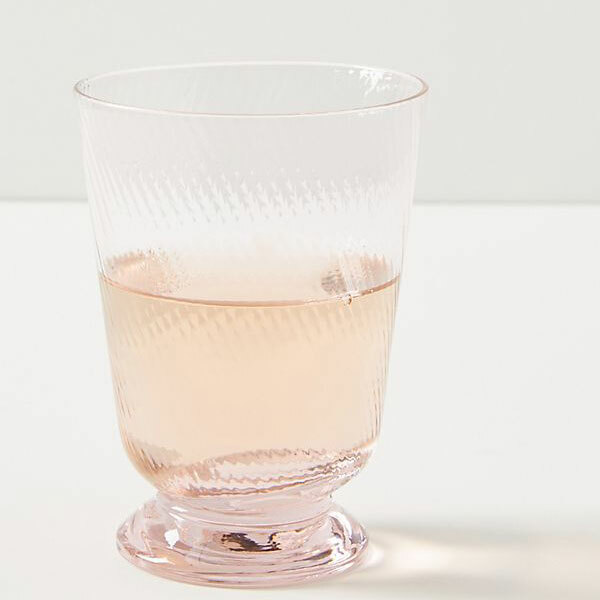 Roughly 9.5-inches wide and 1.5-inches deep, it’s just the right size for most recipes. Try it out with this Ricotta and Scallion Egg Pie. While the savory custard filling might get all of the credit, we love this recipe for its flaky crust made with butter and cream cheese. A 9-by-13-inch baking dish is the go-to size for most recipes. It’s the right capacity for our brunch-winning Tomato, Bacon and Cheddar Breakfast Bake and this Herbed Potatoes Gratin with Manchego that will go nicely with your Easter ham. 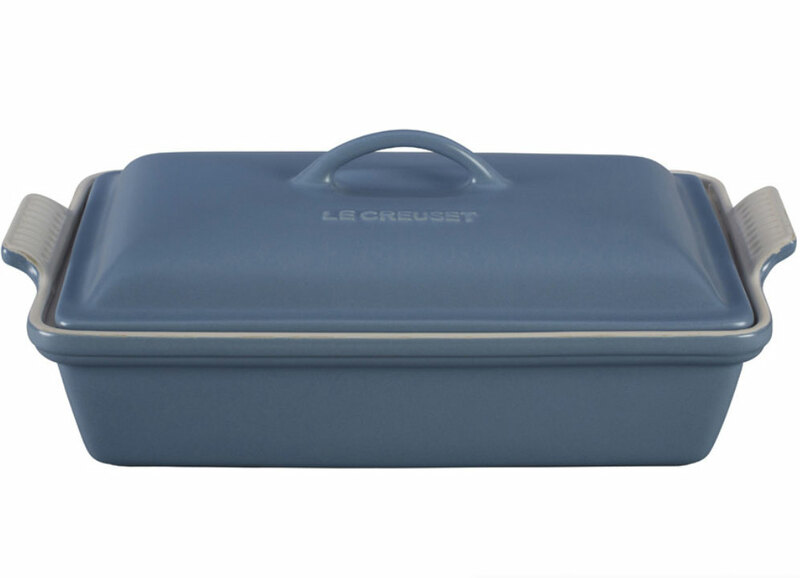 We like this baker from Le Creuset because it comes in this timeless matte blue and has a heavy-duty lid that’s great for transporting food and keeping it warm on the buffet. A spring form pan is more versatile than you think and frequently easier to use (and unmold) than a cake, tart or pie pan. 9-inches is a standard size that will work for this airy gluten-free almond cake and this deep-dish mushroom quiche. 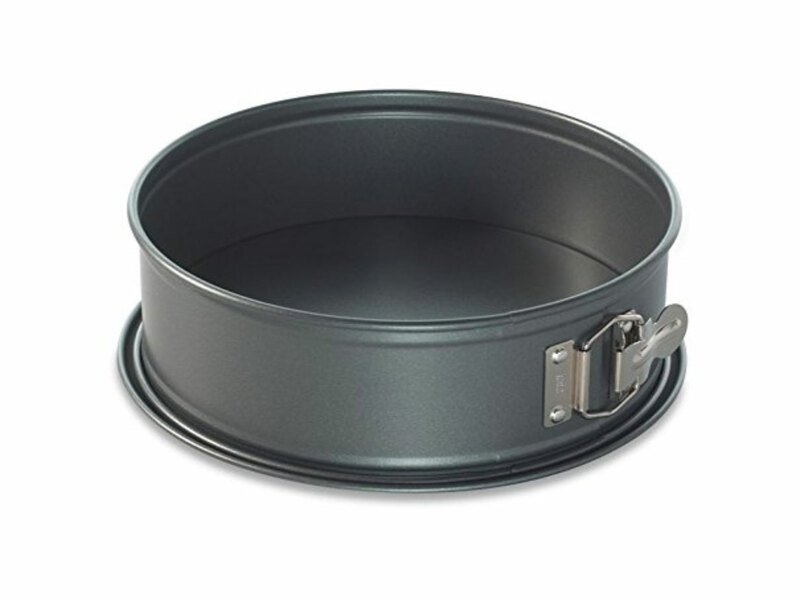 Nordic Ware’s pans last forever and have a fail-proof nonstick coating. 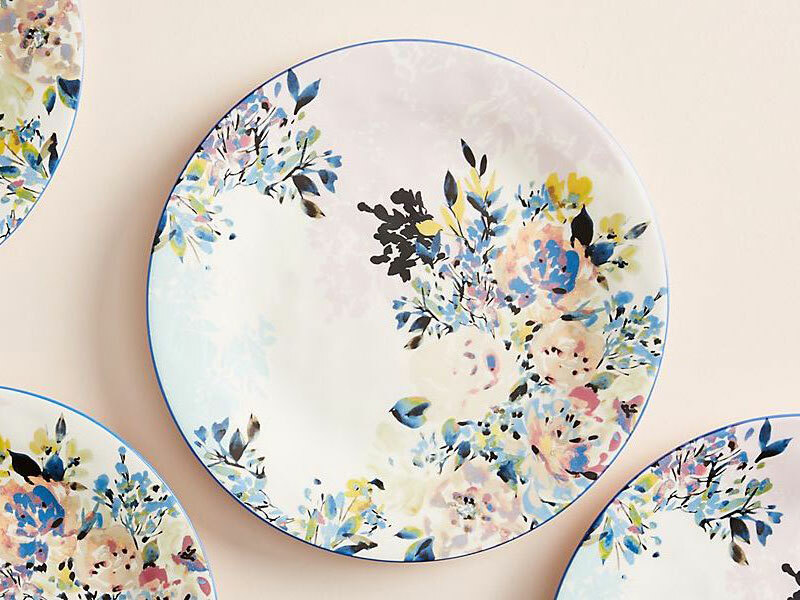 Give a nod to the season and serve your Easter meal on these striking floral plates. Complete the set with matching platters and salad plates or choose a more modern approach and layer with simple white plates and classic linens. A quality wood salad bowl is an investment piece that you will use for years to come, at every holiday and large gathering. 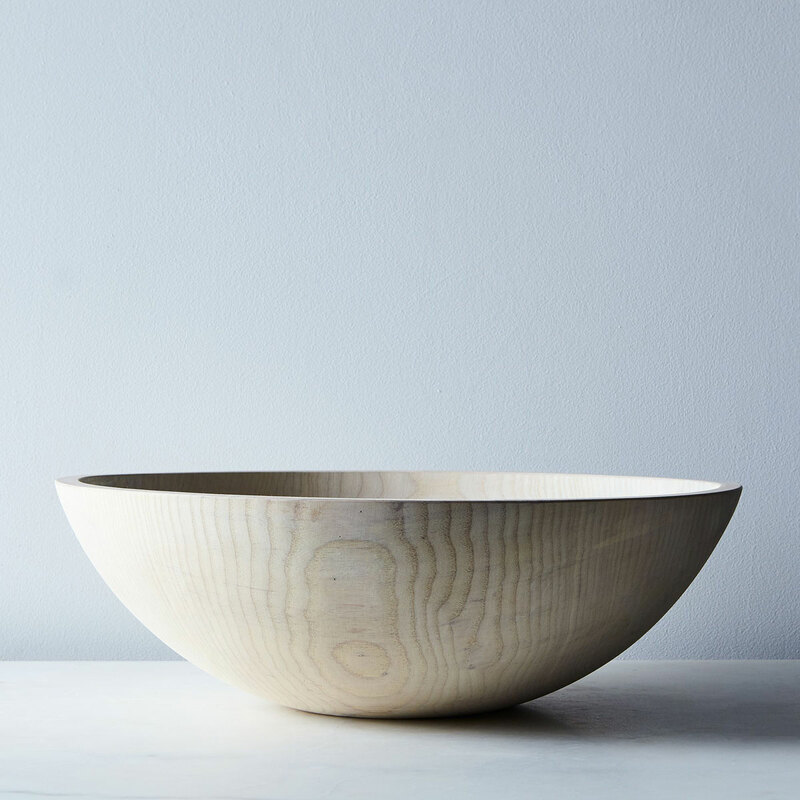 We love this neutral white-washed wood bowl from Farmhouse Pottery because it doesn’t distract from the food inside. Use it to serve up this vibrant green-and-pink spring salad with shaved raw artichokes.